I am so pleased to have stepped into a head teaching role here at Sadhana Yoga, Miramar, and would like to take this opportunity to let you know a little about myself. 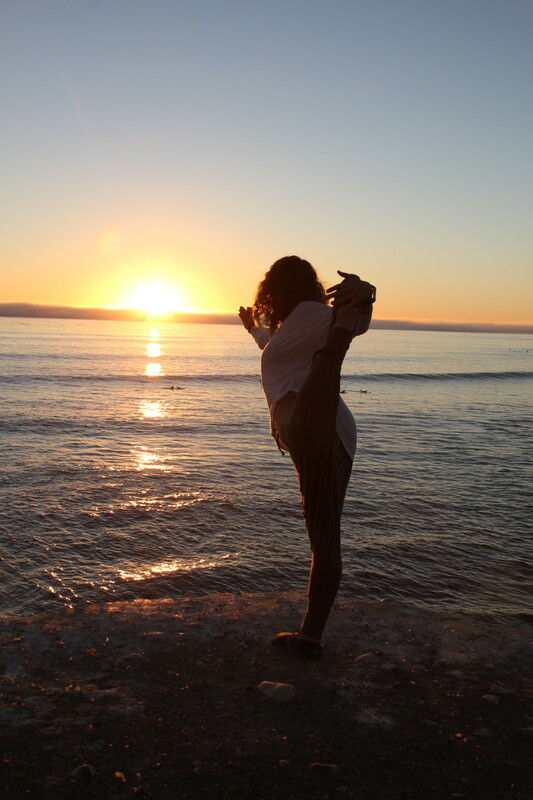 In 2009 I graduated from the Deep Yoga Mastery of Life Teacher Training Program in San Diego, California, joining the Yoga Alliance Organization. I have continued to study and deepen the practice of Yoga alongside many well-known teachers travelling around the US and Mexico. I am also a massage therapist and Reiki level I practitioner. I have studied Hatha, Kundalini, Vinyasa, Karma and Bhakti Yoga, among other eastern discipline like Tai chi and Qi gong. My yoga style combines these practices emphasizing asana, pranayama and mantra. During my classes I encourage you to seek you own unique creative yoga expression safely, guided by my instructions. Every student is important to me and I look forward to practicing together during class. Surf Flow: suitable for surfers, athletes and outdoorsy people. Please stay tuned for a new schedule online coming soon. I appreciate your continued support through my transition to Sadhana Yoga, as undertaking the financial risks of a new business can be challenging. However, I am happy with this new venture and confident that we can continue to build and strengthen the yoga community in Miramar. I would like to take this opportunity to invite you all to our first COMMUNITY CELEBRATION, which will take place August 30th from 4-6pm , and bring your friends and loved ones.